Earlier this month, on the 5th of December, the 25th edition of the Victorian-themed Whalley Pickwick Festival was held. This year some of the festival’s activities such as live pipe and brass music, children’s entertainment and a giant’s ferris wheel could not be set up as planned due to the severe weather conditions. Nevertheless, most fundraising activities at the festival were successful and well-supported by all visitors. Optima got involved in one such activity – a charity stall selling delicious goulash and small traditional Christmas Gifts. The stall’s organiser, HCPT Group 72, aimed to attract funding for a week’s holiday at Easter time for a group of disabled and disadvantaged children. HCPT provides respite holidays for these children to the pilgrimage site of Lourdes. Group 72 is a Blackburn-based charity and joins with the hundreds of other groups from all over the world to meet up at Easter. The group takes around 12 children from the local area each year but over 1,300 children in total make the trip to Lourdes from all groups worldwide. Dr Michael Strode first took 5 wheelchair-bound boys to Lourdes back in 1954 – he wanted to give them a happy fun filled holiday. They stayed in Hotel accommodation, rather than in the institutional hospital dormitories. All of the religious aspects of Lourdes were experienced along with a trip to the PyreneanMountains to create for these children a unique experience where faith, great care and a foreign holiday all came together. Earlier this year we hired our first full-time machine vision projects engineer. His proven track record in vision systems design, modification and installation gives Optima a solid competitive edge in this recently-introduced service. Below we describe 4 specific projects completed by our vision specialist and the respective improvements resulting from each project. Problem: This chocolate bar manufacturer was receiving a large number of customer complaints relating to a specific product – solid chocolate bars were often produced instead of wafer & chocolate ones. There was an existing vision system in place but it could not cope with the varieties of chocolate and mould colours. The existing camera system was unable to provide good contrast to detect a reject product. 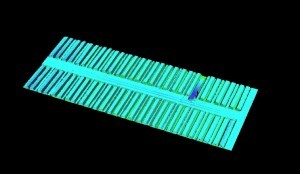 Solution: A new machine vision system was integrated, functionally detecting and identifying the position of the solid bars (i.e. no wafer bars). IVC-3D cameras (from SICK UK) were utilised. The new system provides contrast-independent images to allow easier detection of faulty product. The position of every rejected bar is sent to a PLC to enable the bar to be rejected off the production line. Result: The system is now running at 98%+ detection of reject product. Figure 1. The new vision system easily captures the position of solid chocolate bars. Problem: A group of multinational retailers initiated a study into the use of machine vision to detect different product types at checkout. Vision is usually only used on one item at a time. The study identified fraud as a major issue. Barcodes on high-value items were often fraudulently changed with barcodes of low-value items. Solution: Our vision specialist trialled different vision techniques using either a single technology or combinations of technologies to determine the most reliable way of identifying individual product items. Examples of such vision techniques include Area Scan/Line Scan cameras, dome lighting, backlighting etc. Currently, most self-check-out cashiers use shape, colour and barcode to identify any particular product. Results: The system was initially configured to use a conveyor and custom-built dome light (tunnel). However, subsequent development lead to a static system for being successfully deployed at numerous retail trade shows using a colour HiRes GigE camera. The system was demonstrated at a number of major retail exhibitions attracting great interest from a number of retail market leaders. Problem: A supplier to one of the biggest British supermarket chains was potentially liable to being fined large amounts of money if, for particular food products, the “Date Code”/”Use By Date” labels were not present or if the wrong pots/lids were used. Additionally, the customer wanted to ensure that the correct pots and lids were used for a specified product. Barcodes on the pot and various features on the lid had to be read in order to verify that the “date code” and “Use by date” were correctly printed. Furthermore, the automated system needed to be linked to the site’s Information Management System to pre-determine the product currently in production. With multiple products being packaged on a single production line, errors were inevitable prior to the vision system installation. Solution: The new vision system utilised 5 GigE cameras. 4 cameras provided all-round coverage of the pot to enable the barcode to be read at any orientation. Another camera had the same functions for lid inspection. All images were then processed using Cognex’s VisionPro PC software. At the time of the project, the dedicated barcode readers available did not have the Field of View required to cope with various pot sizes, hence the use of the GigE cameras. Result: With the new machine vision system in place, detection of faulty pots increased to 80%. Figure 2. One GigE camera reads the lid to identify Date Code and product labelling. Problem: An existing vision system was used by a robotic pick and place system to locate and package products into blister packs. The client’s quality regime required that double, overlapping or folded product was not picked by the robot. The incumbent vision system utilised a problematic, visually disruptive carrier that didn’t present the target products in a repeatable position. Applies a metering algorithm to identify the good product. Result: The new vision system achieves 90% success rate in preventing double, overlapping and folded product being picked. Earlier in 2013, Optima’s managing director, Michael Hill, did a short interview for the leading Control Engineering publication. Here is a short preview of what Michael had to say regarding when the right time for an automation project is. What circumstances would suggest that a proposed automation project would be a good idea? When either a process or a machine’s efficiency performance (OEE) is so poor that it damages a business’ financial performance and competitiveness i.e. from excessive downtime, poor quality metrics and/or slow run-rates. From an OEM’s perspective, once a manufacturer has established that they have a market for their particular product, the same operational efficiency questions lie at the heart of the investment decision making process. For the OEM to be competitive, cutting edge automation is essential too. Have you ever had to convince a client that a proposed automation project wasn’t going to be cost effective? I have, but not at the cost of the project. I have experience of occasionally having to advise a small number of customers that their proposed automation project would not be cost effective because the control methods they were going to use would not provide a consistent and reliable machine operation. Their existing proposal would lead to their machine operators finding the machine operation difficult, being hard to set-up and maintain with any reliability, compromising product quality and production rates. What’s the one key factor that tells you an automation project is going to be worth the effort? That is a simple one. If I can see that once complete the project will significantly improve one or more of the 3 OEE components (availability, quality and production rate) then I know the client will have a good experience and get the returns they expect. Mark Lewis of Beckhoff Automation takes on a different perspective on what and when to automate. “Modular, flexible embedded PCs, programmable with one software platform, can lower the entry point for when to automate.” Read the key considerations he discusses for Control Engineering here. 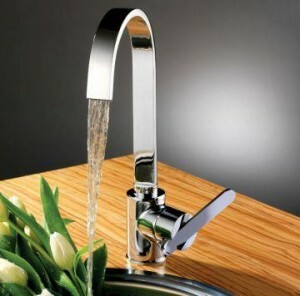 Pegler Yorkshire designs and manufactures innovative and reliable branded connect & control solutions for the worldwide plumbing and heating industry. The company has invested heavily in their manufacturing facilities at an average rate of £3.5m per annum. These developments, involving significant capital equipment investment, have resulted in major customer benefits including shorter lead times, improved response and reduced costs. 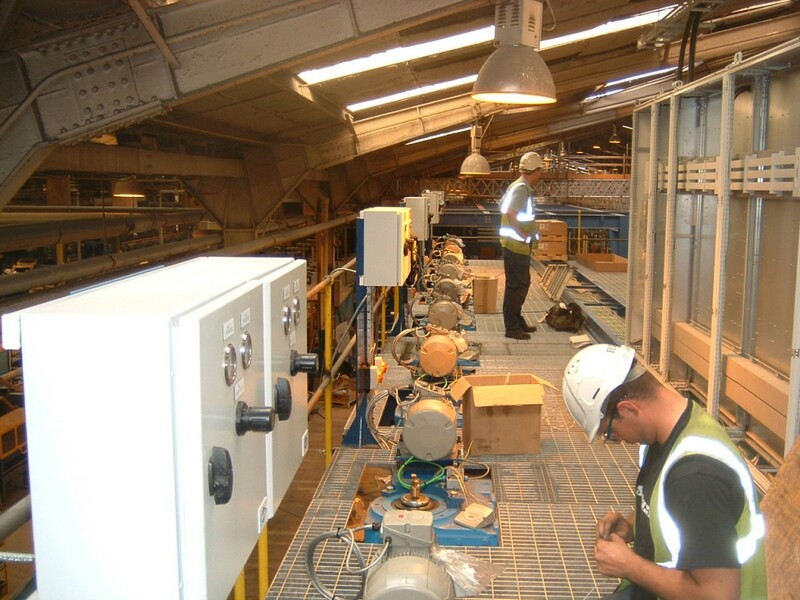 One recent upgrade project was completed at the manufacturer’s plant in Leeds, UK. The original requirement of the project was to replace the drive system of a cold forging press. It had given great service for 20 years but was becoming problematic due to the obsolescence and unreliability of the control equipment. The press punches out copper tube billets from solid copper rod which are used in the manufacture of various sizes of fittings. These fittings are used in the plumbing industry for connecting copper tube together in water, gas and central heating systems. Optima Control Solutions, the Blackburn-based systems integrator, came up with a turnkey solution to integrate into the existing control system. A new AC motor from TECC replaced an obsolete DC motor. The old DC motor required frequent maintenance to keep the machine in production. In addition, new AC drives from Parker Hannifin were configured to use existing control signals to operate the press in the same way as the existing drives. The control system design was compliant with the latest EN60204-1; EN954-1 safety standards and the EN61800-3 EMC Product Standard. Upgrading to the new AC motor and control system realised a 25% uplift in availability, resulting in significantly increased production output. “Broadening our portfolio to include vision is an exciting strategic step for Optima. We forecast strong growth in the adoption of vision technologies as the leading manufacturers continue to introduce new products to the market and meet wider and more demanding applications. Machine vision utilises high-quality imaging methods and has a broad scope of applications for manufacturers such as defects elimination and assembly verification. Optima has already hired two engineers with 20 years of combined experience in vision solutions. Automated control systems are a critical component in the backbone of modern manufacturing. It is virtually impossible to imagine conceiving a manufacturing process without the help of specialized digital control systems. Their subsequent maintenance is even harder to imagine. Today’s plant managers are faced with the dilemma of either hiring in-house engineering resource or outsourcing the service completely. Often a mix of both is considered the ideal solution. 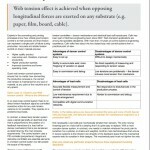 Below we suggest several key issues to consider if faced with forming such a strategy. 1. How big is your manufacturing operation? – Hiring full-time in-house engineers can prove costly if they cannot be fully utilised. Often companies find that once a specific project is completed and the system is “bedded in”, the control system reliability improves reducing any ongoing maintenance needs. Outsourcing the control system design and maintenance resource offers the flexibility and on-demand service sought by smaller companies at a more economic cost. 2. Do you require specialised skills and expertise only for a specific project? – As control system technologies evolve, it is necessary to maintain a company’s in-house engineers awareness and skill levels. This must be a considered investment. Extensive training is often needed which attracts additional cost to your company. Outsourced engineers need to stay at the forefront of engineering technologies to ensure their own sustained income and spread the cost annually across multiple projects. 3. How complex is the project and what risk does it carry? – Modern, high-feature control equipment cannot be upgraded using traditional methods. To attempt to do so without the specialist knowledge required may result in higher costs and running over budgeted times. Outsourced system integrators have a wealth of experience providing better guarantees on the methods used to update equipment and thus will lower the overall risk. 4. Health & safety and risk mitigation – Only the control equipment designed to meet a company’s health and safety obligations match the complexity of today’s regulations. The ability to engineer a compliant system is a legal requirement and not to be underestimated. 5. Project time-scales – It goes without saying that control system upgrades require machine downtime to accommodate installation and commissioning activities. Automation companies have the benefit of project teams that can effectively reduce machine downtimes significantly. 6. Collaboration is key – Ideally, as mentioned above, a combination of an internal project engineer or team working closely with the outsourced project design and delivery company works better for a successful delivery and ownership of a project. Making sure both teams cooperate closely and trust each other is essential. Information flow, clarity of objectives and clear design principles are three pre-requisites that will ensure good project management and mutual understanding. 7. Does the integrator understand your business? – A steep learning curve should be expected at the start of every project for any external engineering team whilst acquiring detailed knowledge of the application. Establishing long standing business relationships, based on performance and trust gained over numerous collaborative projects will promote a better understanding of the clients’ processes for the integrator. This understanding will bring real time and cost savings together with a level of trust that makes working together more natural. Following the waves of industrial innovation over recent years, as part of a fundamental drive to maximise productivity, one of the leading paper manufacturers has deployed industrial robots for label application to its finished products, the company’s Flintshire-based paper mill faced some serious problems with one of the robots functioning on site. According to the lines automation engineer “Over the last couple of years our label applicator robot has becoming increasingly unreliable, resulting in a number of breakdowns which we cannot accept”. He added, “If we experience an 8 hour downtime event, it can lead to the mill stopping production”. The deteriorating reliability of the robot was clearly critical and warranted the purchase of a new robot. The paper makers’ engineers thus presented their user requirement specification for a new robot to a few robotics companies. They explained that KUKA Robots, the German producer of industrial robots, most closely matched their brief in terms of capabilities and cost. Mark Fisher, project engineer at KUKA Robotics, commented: “Being cost competitive was an obvious key factor in winning the contract, but we also offered better overall value for the customer together with excellent customer support throughout the project”. KUKA Robots employed a 3G router solution and made sure that remote robot diagnostics are possible via LogMeIn (a remote control desktop website). According to Mark Fisher, the most challenging part of the project was calculating the arc the robot had to take relative to the roll diameter and width sent over the bus by the PLC. Optima Control Solutions, the industrial automation specialist company, has established its reputation as a reliable and very expert turnkey solution provider. Their client portfolio includes a number of industry leading companies such as The API Group, Tensar Manufacturing and Tullis Russell Papers. A less well known fact about Optima is the high level of service support it provides to its customers and partners. Perhaps because in 2011 – 2012 from a client base of over 600 customers and thousands of installed applications, Optima’s engineers spent a total of just 74 days on urgent service visits, a testament to the inherent reliability of the systems they engineer. It is a fact that the complex nature of the projects that Optima engineer requires specialist application knowledge that few companies can provide; hence, Optima’s responsibilities do not stop at the system handover point. Ongoing system support is critical to all of Optima’s customers, and supporting their control systems requires the same specialist knowledge. Recently, a leading paper-making company contacted Optima with a perplexing breakdown problem on a machine originally upgraded by Optima in 2005. The upgrade project involved the replacement of 90 AC and DC drives and bringing a complex PLC and programmable safety system into line with regulatory requirements. After a busy shutdown period, during which a long list of work tasks had been completed the subsequent machine start-up was likely to be difficult. Pinpointing the route cause is always more difficult when such a wide range of tasks have been concurrently completed. 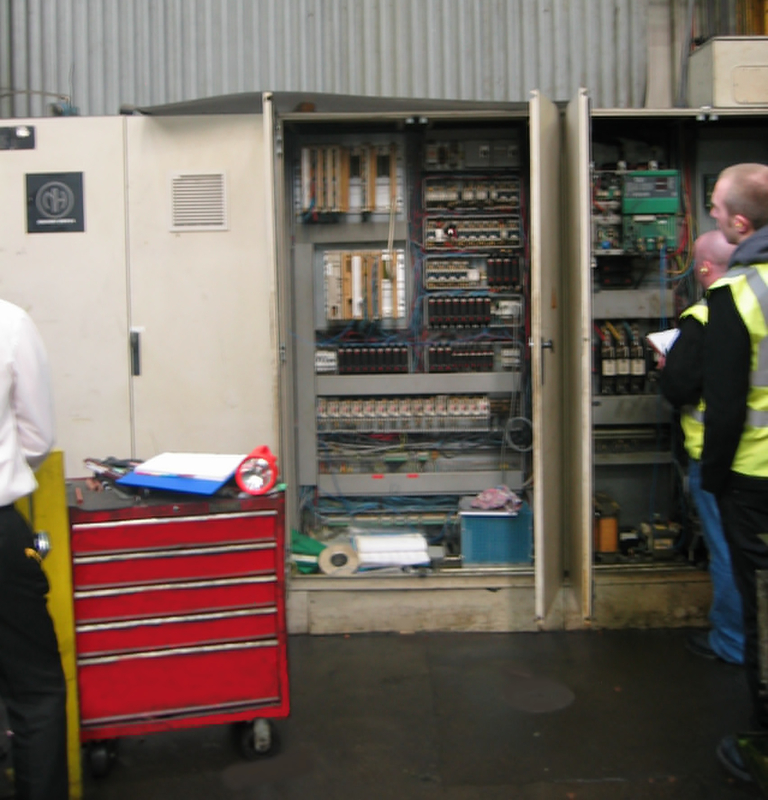 Sensitive to the critical role the machine plays within the customer’s plant, Optima installed a remote access system with the machine’s original control system, thus enabling an immediate diagnostic response to the outage. Liaising closely with the engineers at the customer’s site, Optima followed a number of diagnostic routes. It soon transpired however that the problem was of a very unusual nature, intermittent and with no logical pattern. A site visit was necessary. Liaising with the company’s production team Optima attended site within 12 hours and began a detailed diagnostic exercise. The intermittent and strange system behaviour resulting from a component failure made it a difficult analysis exercise. Optima’s knowledge of the system and its fundamental control strategy meant they were able to pinpoint and resolve the issue in the shortest time with the minimum production impact. Optima’s speed of response probably saved the most time and money. 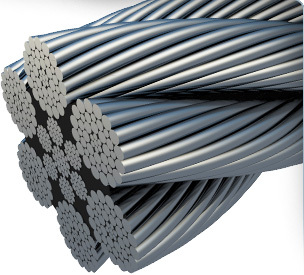 Bridon International Ltd. is a world-leading manufacturer supplying specialist metal rope and wire solutions for a number of heavy industries. Their products are widely used in demanding environments such as oil and gas installations, mining and structural projects. With such diverse, complex and safety critical applications, Bridon’s products must meet the highest quality standards. Bridon’s Doncaster plant in the UK manufactures a very wide range of wire products in order to meet the full spectrum of customer requirements. They, therefore, need flexibility from their production plant. Optima Control Solutions, an independent automation expert, designed and supplied a new control system for the Doncaster based hot dip galvanizing line. Performance, flexibility and safety were at the heart of their design considerations. Optima’s task was to supply the controls for 8 new Vertical Take Up units. Arron told us: “Production requirements for increased piece weights demanded increased performance and capacity. Bridon designed and managed the manufacture of 8 new VTU units to replace existing equipment. Operational benefits associated with larger weights would include less handling, longer run times and therefore improved Plant OEE. Obsolescence of the existing control equipment did play a smaller, though important part of the justification”. Optima’s solution employed a total of 16 Leroy Somer AC motors (8 capstan motors and 8 turntable gear motors). In order to control the speed and torque of these motors accurately during the galvanising process, Emerson’s “Control techniques” AC drives were used. Any variation in the speed of the wire in the galvanising tanks would have resulted in non-uniformed coating of the wire. This in turn would have resulted in unsellable product being produced. Working closely with the production personnel, Optima supplied an ergonomically designed operator control interface using Siemens S7-300 PLC and Siemens TP177 Micro HMI. A complex emergency stop system was also designed to provide safe machine access with minimum production disruption. Optima’s final task having engineered the advanced PLC, drive and safety control system was to commission the whole project. The control system installation and commissioning was completed in a very short time period over the Plants summer Shutdown period minimising additional production disruption, always a critical element for manufacturers. The project realised a number of improvements for Bridon International; these included reduced product changeover times, better production performance, higher availability and increased product quality. Arron Woodiwiss explained “The upgrade extended the production line performance rates, consequently we now enjoy better competitiveness. Through improved process control we were able to expand the product range, as well. Overall, Optima delivered a control solution on time, on budget and our production performance increased as expected”.